Teens in our state are vaping nicotine at twice the national average – the highest of all 37 states surveyed by the U.S. Centers for Disease Control and Prevention. While only 7 percent of high school students currently smoke cigarettes, one in four Colorado adolescents vapes nicotine – sometimes known as JUULing. Then-Gov. John Hickenlooper of Colorado energetically engaged in the issue, eager to shed the state’s dubious distinction and protect the health of kids. SE2 conceived of an event that could provide a platform for teens to speak out, not only bringing broad visibility the day-of, but also many future opportunities for raising awareness around an issue of crucial public importance. Imagine 250 freshman packed into the auditorium at Denver South High School, complete with rousing performances by the drum line, cheerleaders and the dance team. More than 50 posters dot the crowd of young faces — #NoMoreVapeTricks, No Pods for My Squad, Don’t Cloud My Future. Former Gov. Hickenlooper and student speakers addressed the teens, as well as a throng of reporters. The opportunity was ideal for earning news coverage. But it was also a golden content-gathering opportunity that enabled SE2 to spin content from a single event on every platform and channel for maximized exposure – social, owned and paid media. 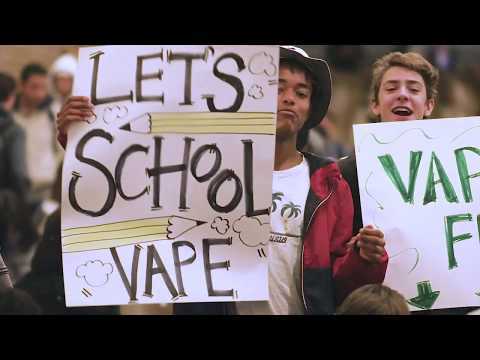 So, in addition to the news cameras in the room, our team captured the images and video that help tell the story of teen vaping in Colorado to parents, policymakers and other influencers. Focusing a converged media strategy around this single event maximized its impact. News coverage reached more than 1.5 million people – an estimated publicity value of over $150,000. Social media outreach, which occurred during the event and in the weeks afterward, reached more than 95,800 people; of these, 30,900 engaged.